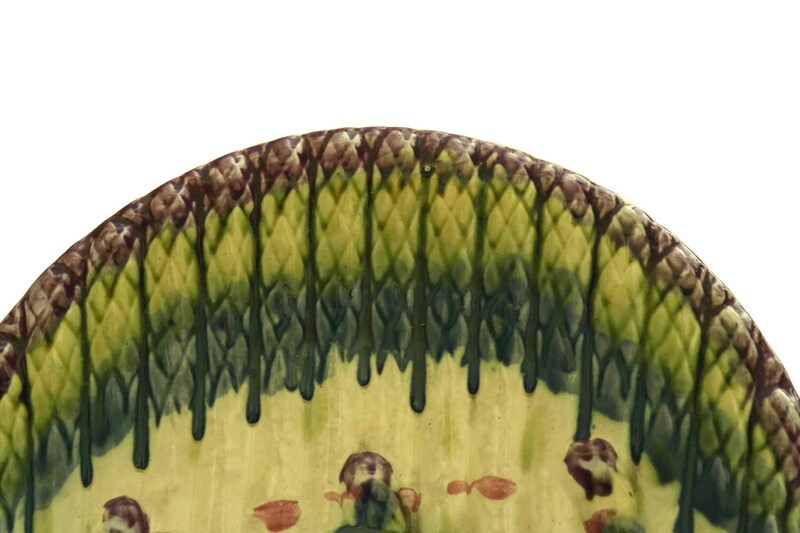 Antique Majolica Asparagus Plate. Wall Plate. French Kitchen Decor. 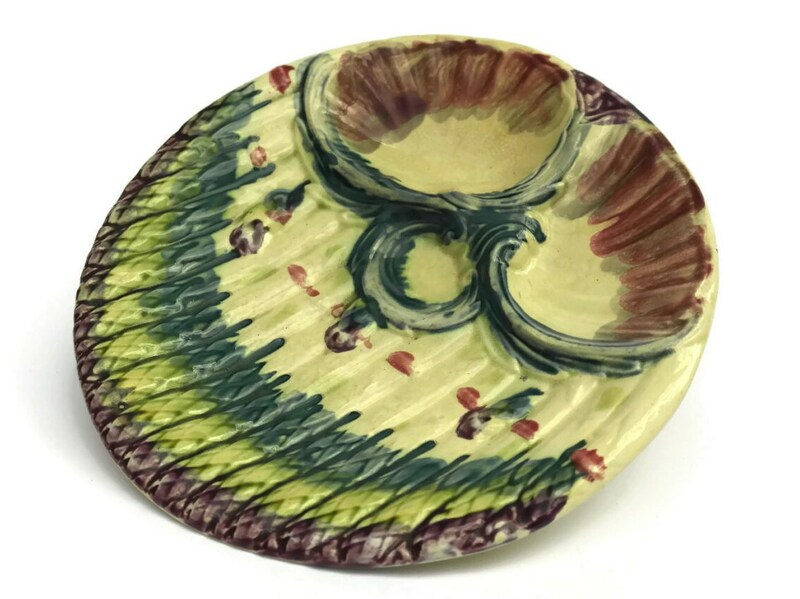 An antique French asparagus plate which has been created from richly glazed majolica and features fine relief detail. 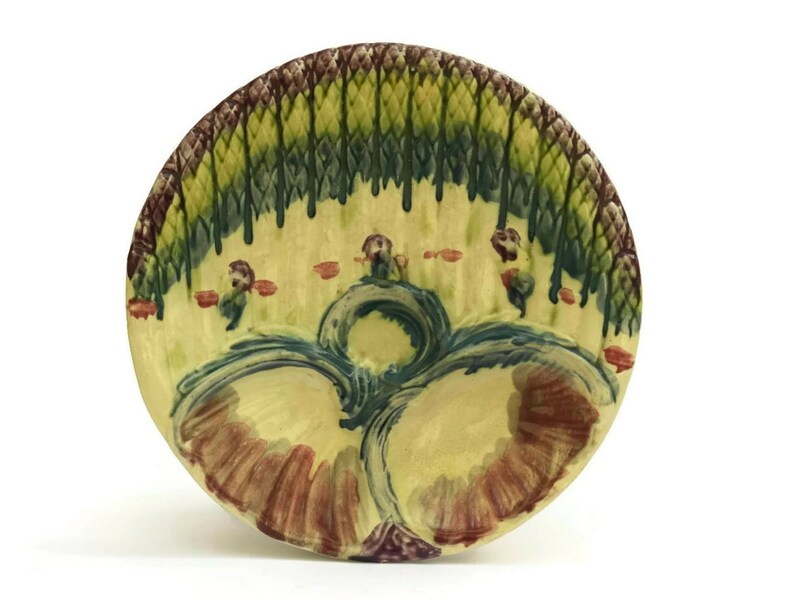 It was manufactured by the Luneville company and has been decorated with a grouping of asparagus spears with sauce wells on one side. The reverse has been stamped with the manufacturer's mark. 9" in diameter (23 cm). 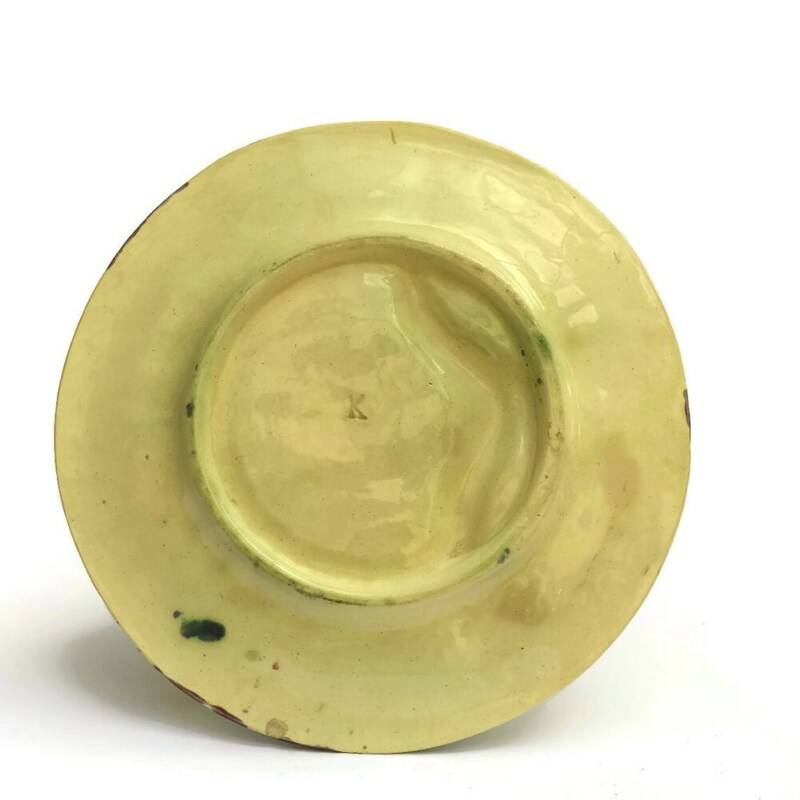 The ceramic plate is in good antique condition with age appropriate wear including fine crazing and small marks to the glaze. 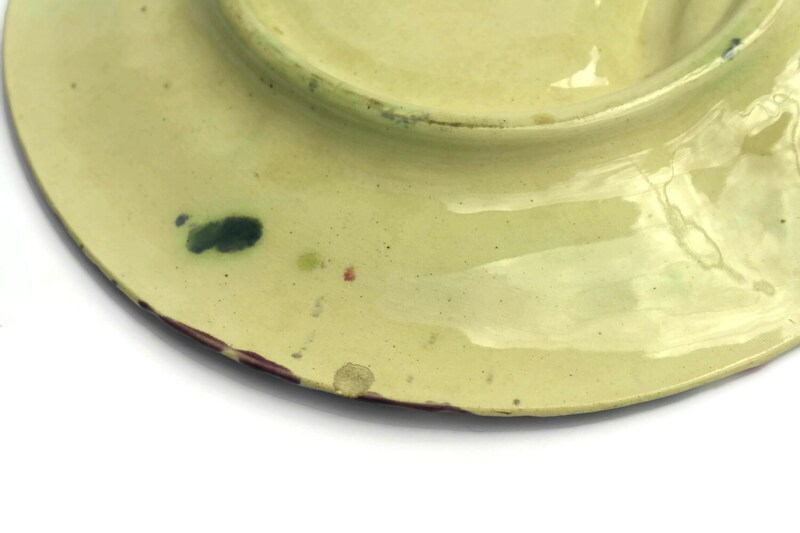 There is a small chip to the underside as shown in the last image.